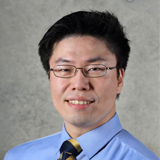 Dr. SHIN Chang-Hoon is a research fellow in the Nuclear Policy and Technology Program in the Center for Global Governance at the Asan Institute for Policy Studies. Previously, Dr. Shin taught public international law, international organizations, international economic law and the law of the sea at Seoul National University and Myongji University. Dr. Shin has been an active participant in international conferences held at the International Maritime Organization and is a member of the Compliance Group established by the 1996 London Protocol to the Convention on the Prevention of Marine Pollution by Dumping of Wastes and Other Matter. Dr. Shin’s research focuses on dispute settlement, the law of the sea, international environmental law, international humanitarian law and the study of the nonproliferation regime. He received a B.S. and an L.L.M from Seoul National University, and a D.Phil. from the University of Oxford.